A relaxed atmosphere, a culinary experience, simple, good and genuine dishes will make your experience unique. Our restaurant is open Tuesday to Saturday from 6pm to 10 pm. 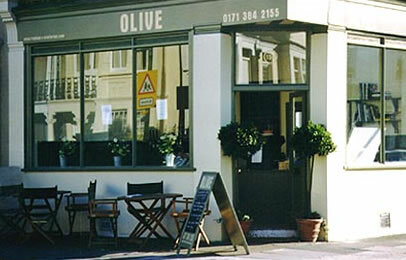 We take reservations on 020 7384 2155 or at info@olivecatering.com. We cater for business and private clients. We serve companies and individuals who visit us in Fulham. It makes us unique. Our catering operation can supply events from 20 to 100, whether it be a canapé party or a buffet style party. Do not hesitate to contact us for advice or information.